These anger management techniques are a result of almost four decades of professional experience. Choose the ones that work best for you, and practice them over and over. This is not a quick fix, but if you use some or all of these now and regularly, you will get the relief you're looking for. Physical exercises and activities can be very helpful. Do some deep breathing, go for a long walk, or go to the gym and get a good workout. this can really help to balance and calm your emotions. Get outdoors and breathe some fresh air. Being outside has been shown to provide a lot of emotional benefit. Stretch your body. Stretching (or yoga, for those so inclined) is one of the most valuable and underused resources for well being. Don't leave this one out! 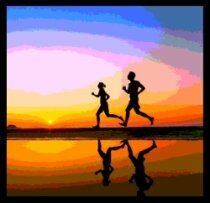 Physical exercise of any kind is one the best anger management techniqes you can use. Positive self talk can help you a lot. Even if you don't believe the positive statements, they can help to calm you. Make statements to yourself like, "This is all going to work out okay. It's not as bad as it seems right now." Journal writing is a powerful tool for healing and soothing anger. You will find a description of a three-part journaling process on this page. This will be one of your most powerful anger management techniques. Part of this journaling process involves shifting your focus to what's good, right and working in your life. Be sure and watch the video on that journaling page, to learn how to do this. This positive journaling process is a great healthy alternative to getting revenge and managing anger. Prayer can be very soothing and healing, if that is part of your belief system. As one of your anger management methods, pray for God to guide you through the difficulties you face, then say, "Thy will be done" and let go. Research on prayer has found that this is the most effective form. Try to have some empathy for the other person. I know this can be hard, but if you can do it, it will really help you. Try not make the person you're angry at "all bad," because that will keep you stuck. Practice some imagery with your inner child. Saying comforting and soothing things to the wounded, frightened child within you can be tremendously helpful for anger management. 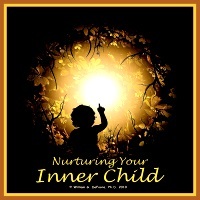 The Nurturing Your Inner Child program will take you to the heart of the matter, and give you lasting results. Focus on your good heart. Deep inside, you know that you're a good person, even if you have done bad things (like the rest of us). That inner sense of goodness is who you really are, and it can be a source of comfort and refocusing for you when you're angry. Learn about anger management techniques from HelpGuide.org, and anger control methods for kids at Get Your Angries Out. Want Some Free Online Counseling? Here's your chance to ask Dr. DeFoore about your situation. It can be about your anger, somebody else's anger, or about grief, road rage, anxiety or depression. Tell your story with as much detail as possible, and he will give you some free counseling. Then, if selected, the results will be a web page on this site that will help others! So, there you go--help and be helped! By the way, you can be anonymous if you choose, but if you include your first name, it's better. I Love My Family So Why Do I Get So Angry?